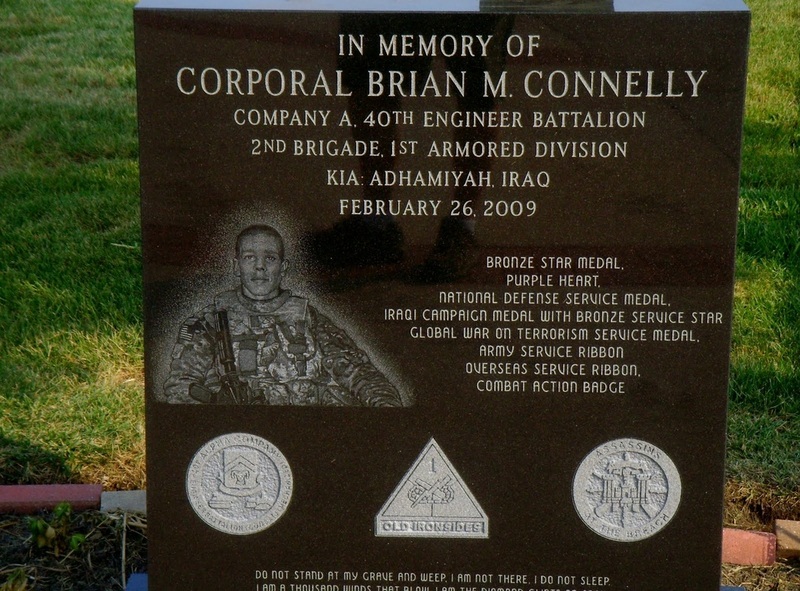 Hometown: Union Beach, New Jersey, U.S.
Died: February 26, 2009 in Operation Iraqi Freedom. Unit: Army, 40th Engineer Battalion, Task Force 1-6, 2nd Brigade Combat Team, 1st Armored Division, Baumholder, Germany. Cpl. 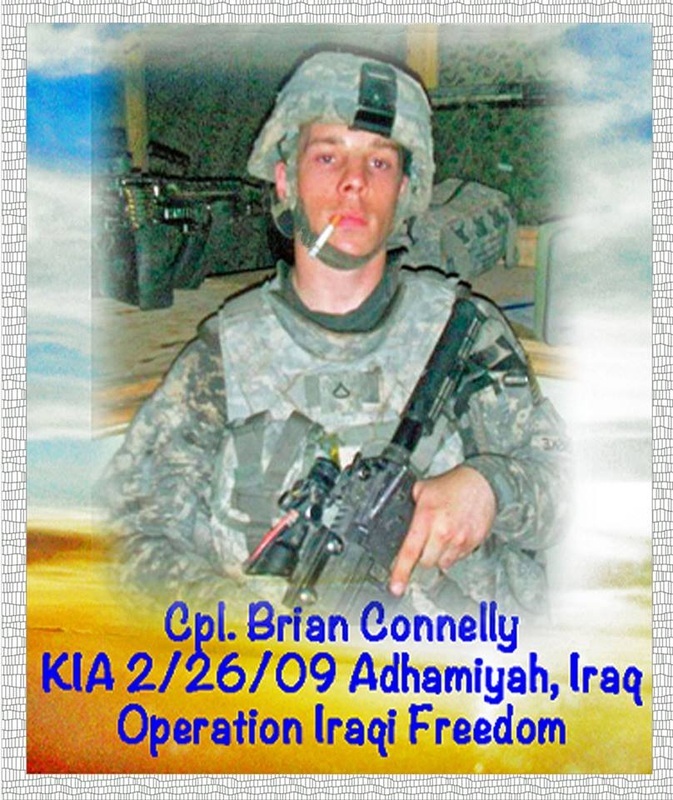 Brian M. Connelly, 26, of Union Beach, N.J.; assigned to the 40th Engineer Battalion, Task Force 1-6, 2nd Brigade Combat Team, 1st Armored Division, Baumholder, Germany; died Feb. 26 in Baghdad, of wounds sustained when his vehicle was struck by an explosive device. His awards include the Iraqi Campaign Medal with Bronze Service Star, the Global War on Terrorism Service Medal, the National Defense Service Medal, the Army Service Ribbon and the Overseas Service Ribbon. He was awarded posthumously the Bronze Star Medal, the Purple Heart, the Army Good Conduct Medal, and the Combat Action Badge. 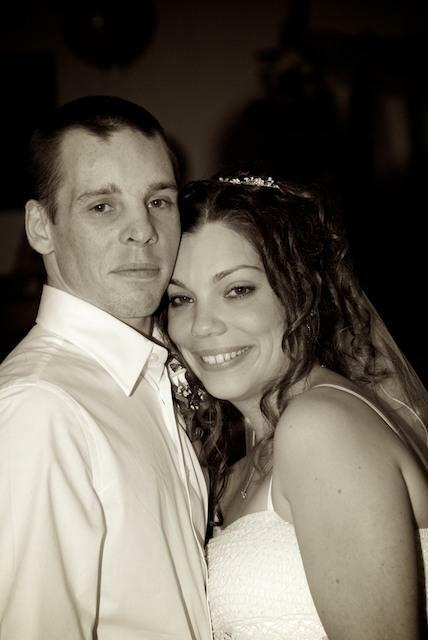 He was predeceased by his grandparents, William and Jean Connelly; his grandmother, Barbara Dammann; and his father-in-law, Robert A. Thomas, Jr.
Union Beach family mourns the loss of a husband and son killed in Iraq..
During most of their five short months of marriage, Spc. Brian M. Connelly and his wife saw each other only through webcams. Such is the fate of a couple separated by war. So Brian and Kara Connelly made the best of it, booting up computers as often as they could to exchange words and smiles beamed halfway around the globe between Iraq and Monmouth County. Even their engagement came via webcams. "It wasn't really all that romantic," said Kara Connelly, 23. She cherished the moment nonetheless. On Thursday, Kara Connelly gazed at her husband for the last time. Four hours later, he was killed when his vehicle was struck by an explosive on a Baghdad street, the Department of Defense said yesterday. 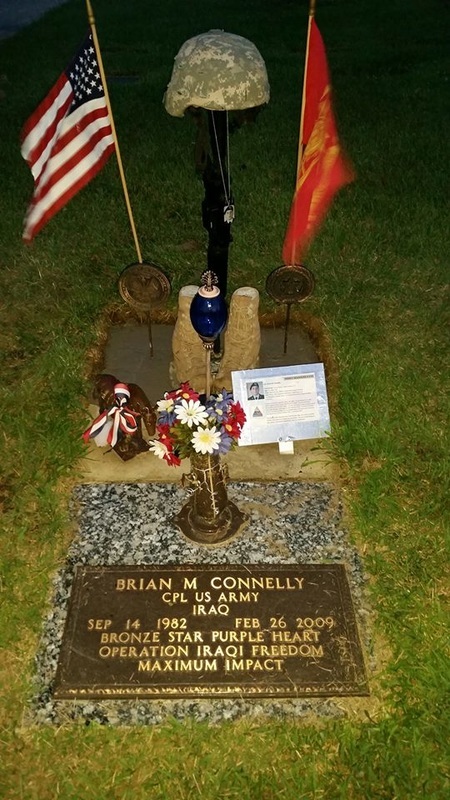 Brian Connelly is at least the 106th member of the armed services with ties to New Jersey to die in the wars in Iraq and Afghanistan. Kara Connelly, her face streaked with tears, stood in the kitchen of her husband's boyhood home yesterday and mourned the fun-loving, blue-eyed soldier she had a crush on since high school. "He was just awesome," she said. "He was good-hearted. He was funny. He was everything." Brian Connelly, 26, grew up in Union Beach, a postage-stamp-size town on the Raritan Bay, about 10 miles south of Perth Amboy. At 2 square miles, it is a place where people can't help but know one another. Brian and Kara Connelly were married by the borough's mayor, Paul Smith. He ordered flags in town yesterday to be lowered to half-staff in Connelly's honor. "He was so young," Smith said. Brian Connelly grew up in a one-story house at the end of a cul-du-sac. Yellow ribbons fluttered on the front porch yesterday. A banner on the house read: "Bring Our Troops Home." Inside, Connelly's mother, Jean Dammann, clung to her husband and wept. She decried Army recruiters who persuaded her son to pull on a uniform. "They shouldn't be able to talk to our kids in high school," said Dammann, 44. Connelly was born Brian Blonske and was the older of two boys. He recently took the name Connelly, his mother's maiden name, she said. The family lives minutes from the Raritan Bay. As a boy, Connelly trolled the waters for fluke and weakfish. "He just loved being on the water," said Mark Dammann, 48, his stepfather. Connelly had little interest in school, his family said. He liked reading about mechanics and philosophy but did not care for textbooks, they said. His brother, Kevin Connelly, recalled him as rowdy and loyal. He loved raucous music, mosh pits and once saved his younger sibling from a rip tide. Another time, Connelly smacked his little brother in mouth with a hockey stick, knocking out his front teeth. After graduating from Red Bank Regional High School in 2000, Connelly enrolled in Brookdale Community College in Lincroft, where he studied computer technology for about 18 months. He joined an electricians union, then was laid off. Unemployed and directionless in 2007, Connelly turned back to the Army recruiters he had met as a teenager, his mother said. Connelly knew his mother did not want him to join the Army. After enlisting, he put off telling her for almost 10 days, she said. His first assignment was in Germany. Shortly after, he and Kara began their long-distance courtship. They had met nearly a decade earlier, and she always admired him. But they remained friends, she said. A year ago, Brian Connelly stared into a webcam and sprung the question. Connelly shipped off to Iraq two months later. He was a member of the 40th Engineer Battalion, Task Force 1-6, 2nd Brigade Combat Team, 1st Armored Division. The couple married in September, while Connelly was home on an 18-day leave. The wedding was at the Keyport Veterans of Foreign Wars Post. She wore a white summery dress. He wore khaki slacks and a white shirt. They honeymooned in Myrtle Beach, S.C.
After finishing his Army stint, Connelly hoped to land a construction job to help pay for his wife's college. They talked about moving south, to someplace warm and affordable. And they looked forward to seeing each other without webcams. 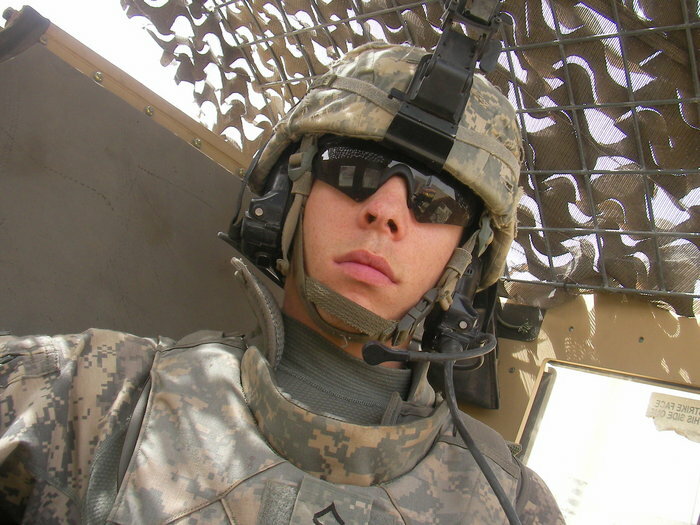 "All he wanted to do was come home and start a family," Connelly's mother said.